Our concierge teams deliver all of our solutions—as a Service—utilizing our world class software products to return the highest value and level of service to customers. Our Information as a Service™ delivery model is a unique blend of the traditional software, software as a service and services outsourcing delivery models specifically designed to deliver immediate and on-going actionable information to eliminate cost, risk and improve operational efficiency. We took the best of each model and combined it—to reduce cost and complexity and to provide immediate and continuing highest value results and customer satisfaction. Our concierge teams use multiple Symphion Software Products to deliver each of our Information as a Service solutions. 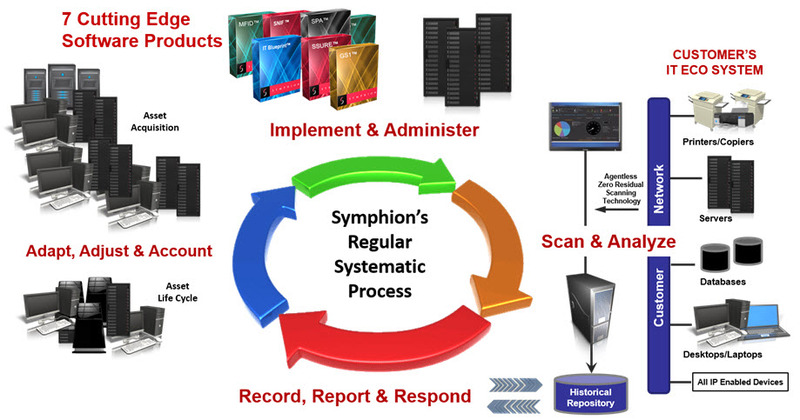 Unlike software only, our Information as a Service™ solutions are end-to-end complete services that are immediate and fully remotely implemented, maintained and supported by Symphion. Customers don’t need to hire contractors or dedicate full time employees to implement, deliver or administer our solution. Symphion professionals do it all remotely and will never be onsite, so there is no need for additional security badging, workspace or management. Unlike traditional Software as a Service (SaaS) delivery models, such as email SaaS, each customer’s sensitive data stays within their enterprise and is not transferred (or multi-tenanted) on servers in a SaaS provider’s data center. Our solutions also eliminate internet latencies and security risks that can be commonly associated with similar solutions deployed as SaaS and do not add to regulatory compliance responsibility. Much like IT outsourcers, we provide results (not just a tool) from implementation results to information results as needs arise. One of the key benefits of Information as a Service™ delivery is familiarity. Each concierge team will know each customer’s environment, oftentimes, better than that customer. 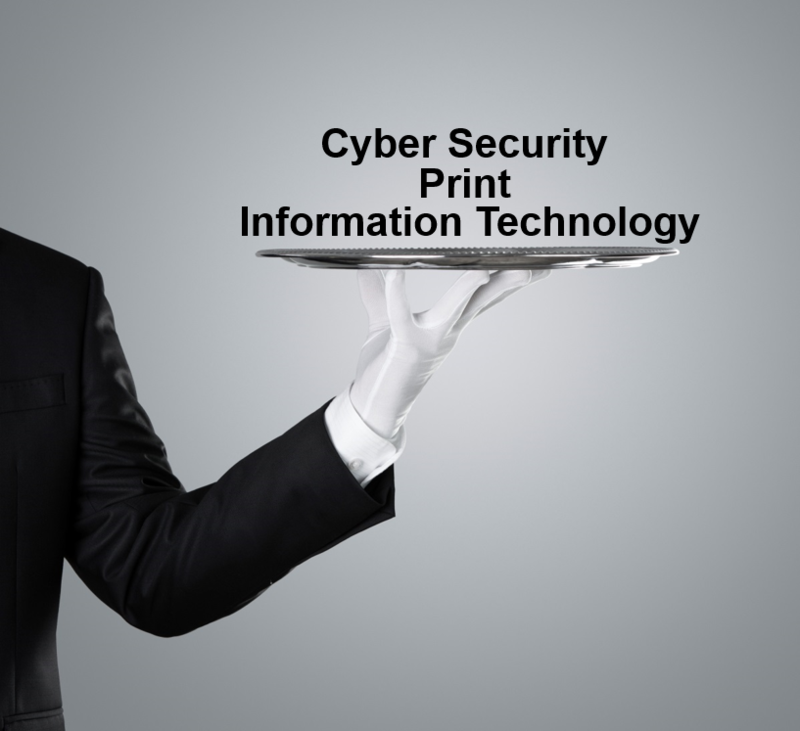 As such, our concierge teams are ultimately qualified to respond to and address pressing information needs as they arise. 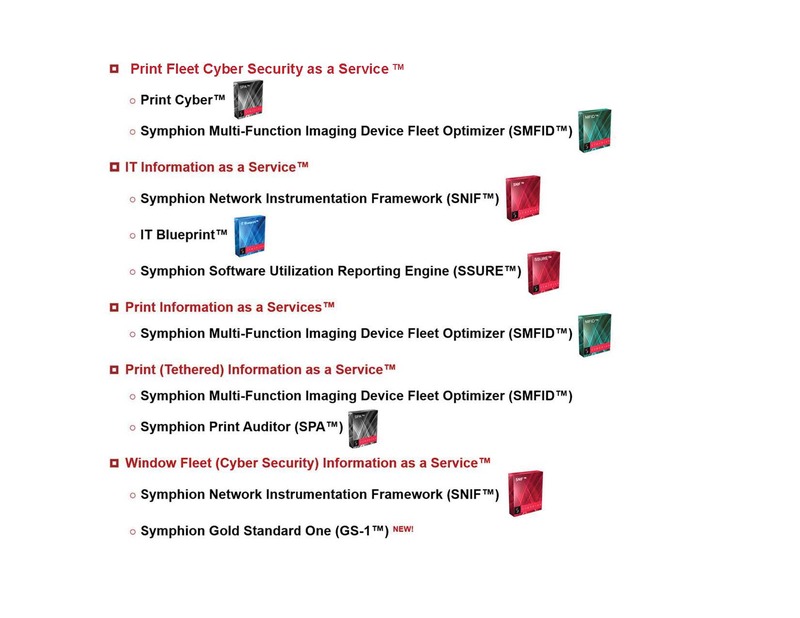 Customers understand that they can contact Symphion for a result and, not just for support about how to work our products. Much like IT outsourcers, we deliver regular systematic results and dedicated professional service providers to establish a seamless ongoing adaptable, disciplined process to support each Customer’s business.